lights | Why you drive bad?! 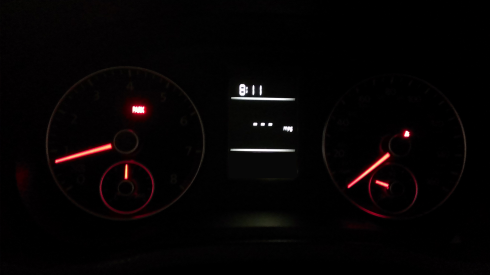 I wrote about illuminated dash gauges a while ago saying it’s rather dumb. I still think it’s dumb, but I realized it’s because the gauges sit farther in the dashboard so it is darker and harder to glance so there is somewhat of a reasoning behind it. Volkswagen seems to have an interesting solution in getting people to turn on their headlights. If the headlight switch is set to “Off” and it is dark, the cluster illumination is automatically turned off. If it is bright enough outside, the gauge is illuminated as normal even if the headlight switch is in the “Off” position. Now to accomplish this, there is a light sensor in the cluster to measure interior darkness even on models without automatic headlights. It seems like an over-engineered solution, but it works with what people are used to for ages: it’s too dark to read so turn on a light. No extra thinking required! Brilliant!